North Tahoe's Jillian Ferre races to a second-place finish at Diamond Peak Ski Resort on Tuesday, Feb. 13. For more photos visit LefrakPhotography.com. 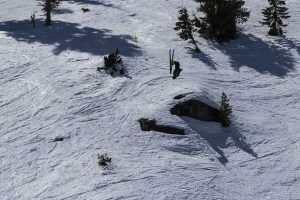 The high school alpine regular season finale went off at Diamond Peak Ski Resort on Tuesday, Feb. 13, and the North Tahoe boys and girls’ squads again captured team victories. The Lakers boys closed out the regular season unbeaten as a team, while the girls picked up wins in six of the seven races. The North Tahoe boys racked up 207 points behind four top-10 finishes to capture the team win. South Tahoe was second with 190, followed by Douglas with 170, Whittell with 161 and Truckee with 128. Whittell skier Payton Norton took the individual win against a field of 56 boys. 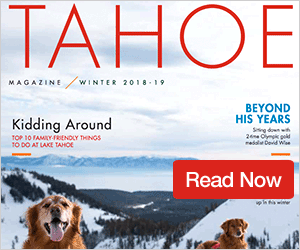 Norton edged North Tahoe’s Trent Carter with a first run time on the slalom course that was more than a second faster than any other skier. Carter made some of that time up with the day’s fastest second run, but it wouldn’t be enough to catch Norton’s total time of 51.80 seconds. Carter finished his day with a total time of 53.14. The Lakers also had Quinn Earley take fifth with a total time of 54.26, followed by teammate Guthrie Goss with a total time of 56.96. Truckee’s Aiden Danagher then finished with the next fastest total time at 57.07 for seventh place. North Tahoe’s Thomas Mercogliano rounded out the Lakers scoring skiers with a total time of 57.18 for eighth place. Truckee’s other scoring skiers included Sawyer Laine (1:30.79), Wyatt Peak (1:34.33), and Walker Lindsey (1:44.92). In girls’ racing, North Tahoe edged Truckee in the team points behind a second-place finish from skier Jillian Ferre with a total time of 57.15. The Lakes finished with 208 points, followed by Truckee in second with 203 points. Incline’s Belle Johnson won the race with the day’s two fastest runs for a total time of 56.31. North Tahoe’s Maya Wong was third with a total time of 59.05, followed by Truckee’s Monique Fellows in fourth with a total time of 1:00.56. Wolverines skiers Susie Greeno (1:01.34) and Danielle Dolan (1:02.25) were the next two fastest racers. North Tahoe then had the next three fast skiers to take the team victory. Reilly Scott (1:03.10) started things off, followed by Eva Turk (1:03.27) and Olivia Sproehnle (1:04.23) in ninth place. Truckee’s Whitney Wingard (1:04.80) and Hyla Staudenmeyer (1:06.67) finished in 10th and 11th, respectively, to give the girls a second-place finish as a team. The race at Diamond Peak also marked the third in which North Tahoe was without their best skier Anna Yamauchi, who had missed two races previously for larger competitions. Unfortunately, Yamauchi missed the team’s latest race and will be out for the state championships, according to Assistant Coach Gretchen Sproehnle and the team’s website, due to a shattered femur suffered while competing in Canada. 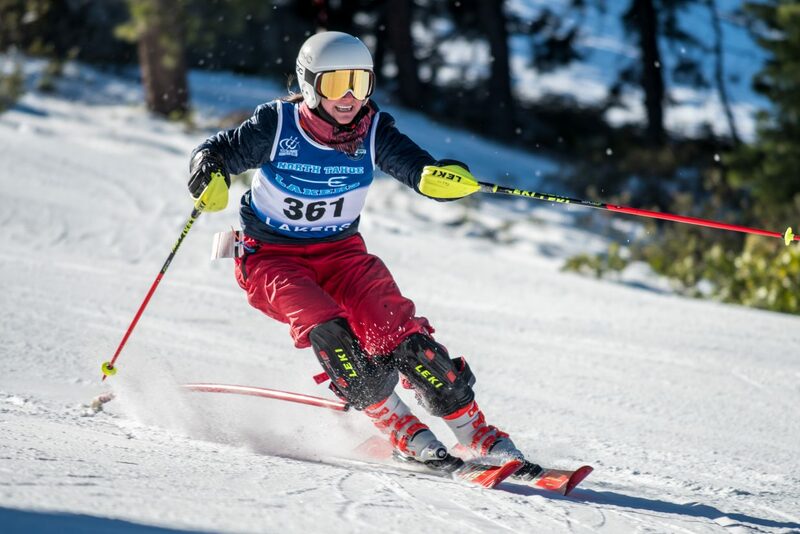 With the regular season over, three teams from the boys’ and girls’ divisions will next compete along with individual qualifiers at the Nevada Interscholastic Activities Association State Championship on Feb. 27-28 at Alpine Meadows. On the boys’ side, North Tahoe finished as the regular season champions and will join South Tahoe and Douglas in the hunt for state championships. And on the girls’ side, the Lady Lakers captured the team title and will battle it out with second-place Truckee, and third-place South Tahoe for the team title. 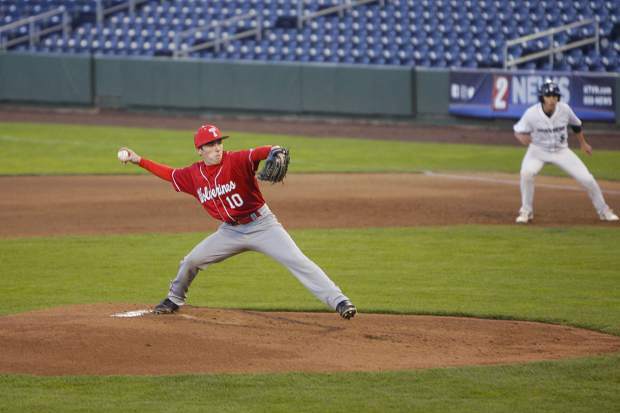 With Tuesday’s end of the regular season several local athletes took home top honors with their performances throughout the year. 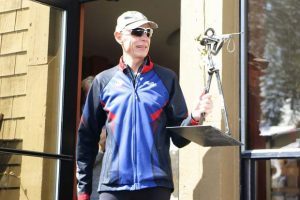 Incline’s Johnson captured wins in each of the final three races of the year to take the regular season points title, edging out Truckee’s Dolan 275-264 (top five results of the seven races are used). Incline’s Rachel Meyer finished the year in third with 249 points, followed by South Tahoe’s Lyndsey Allen with 240 points, and Truckee’s Staudenmeyer with 236 points. On the boys’ side, Whittell’s Norton took top honors with 278 points, followed by Douglas’ Dunkelman with 273 points. A trio of Lakers rounded out the top five. Goss led the way with 271 points, followed by Early with 262, and Fralick with 254.